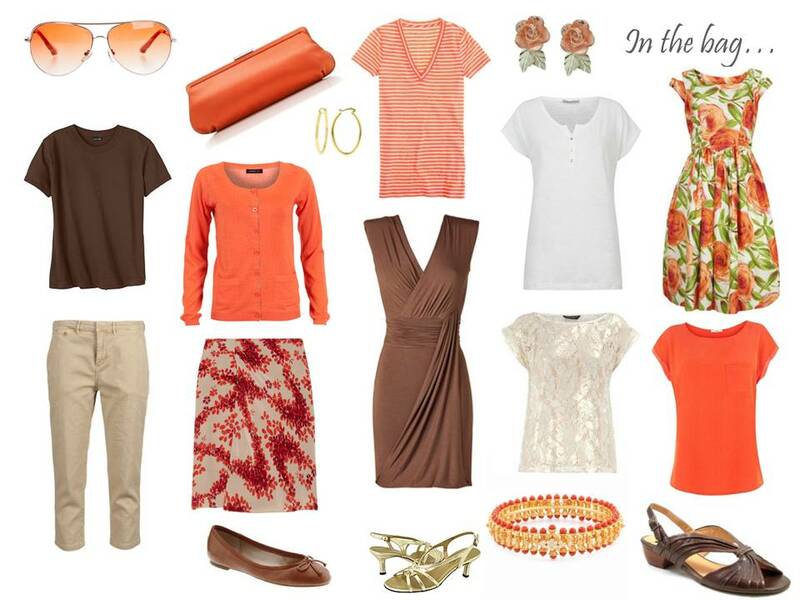 You are here: Home / A Travel Capsule Wardrobe – Packing in brown and TANGERINE! 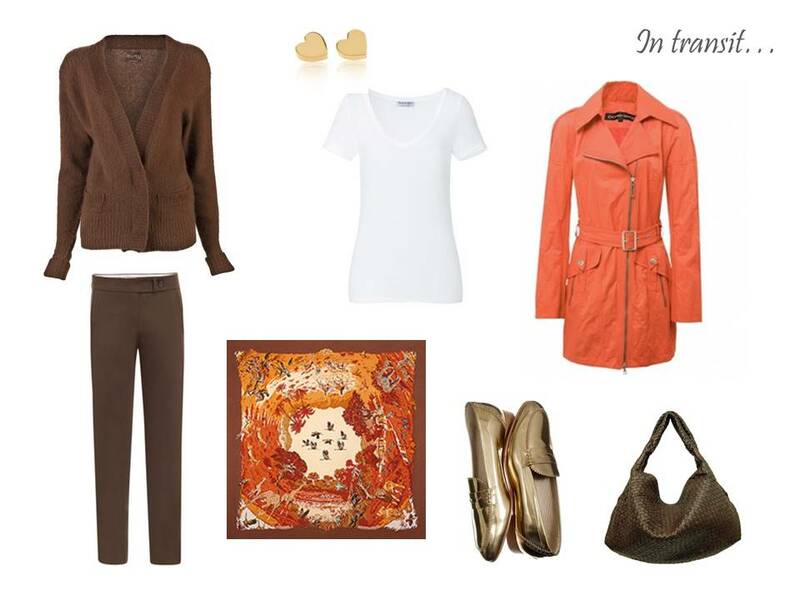 A Travel Capsule Wardrobe – Packing in brown and TANGERINE! And I know that I said today would be the last iteration of this travel package, but someone asked me to try on turquoise, so tomorrow is brown and turquoise. It’s going to be beautiful! As always: love your neutral/color combos! I stick to neutrals (navy, black, grey, brown) but you've made me less scared of color. I have purchased some brights this season (pants — cuz I can't wear many brights near my face) and you're helping me integrate them into my neutral wardrobe. I always come away from your posts inspired with ideas and possibilities. You are wonderful! I love orange but am not a brown person, but ugh! You make me want a brown capsule lol. It's paralyzing. I just bought some pants…love the material and the color but have to admit they don't quite flatter in the rear view. I should return them I guess. But I've started to feel that way about everything! Is this "the best" I can find? Is this a mistake? What if I see something better next week? Oh help me! Can you be a therapist as well as a stylist? Fashion therapy? You could invent a new specialty. Thank you for bringing in orange…I love how you are demonstrating that those basic colours (black, brown, grey, tan, navy) can be individualized in so many different ways. I can better visualize swapping out any of the bases (navy & tangerine? grey & tangerine) with any of the brights you've shown to date (brown & lime? tan & lime? navy & lime). Hi, Vivienne. Adore your blog and have "turned on" a couple of girlfriends. We are amazed at your talent for mixing and matching and bringing in the most fabulous basics so that they look new and fresh and hip (we are all over 50 and that's all we're copping to!). Truly, whether I am traveling long distance or just a few days worth up to Los Angeles, I am incorporating all of these great ideas and already get so many compliments. While the other gals are lugging these giant Titanic-like "steamer" trunks of clothes, I have a small (cute!) carry-on that contains great-looking outfits that I love, work together perfectly and I get so many compliments on. Okay, that's all the fawning over you I'm doing today but just had to say how much I enjoy the blog as I have been quietly following you for some time now. Thanks so much for your passion and gift! BIG BIG BIG Saturday hug! Fabulous as always !! My favorite part of this is that you mixed JCPenney with Tiffany's ! The reality is that most of cannot afford to dress in such high calibre and expensive clothing. So I just love seeing the mix ins. Thank you ! Love it as always. Can't wait to see the turquoise tomorrow. I am picking up such great ideas from you and I think I am going to sit down and put together a couple of capsules with items I own. Keep up the great work! Oh my god, you got me! Love, love the brown/beige/orange combo. I'm another "over 50" and this works for me! Your finds are marvelous, love your combos so much. I LOVE your blog! You have such a great eye. I just spent the last week going through every one of your posts. Now I am ready to tackle my closet. Thanks for doing what you do!! I, too, can't wait to see turquoise! Thanks for your gifts and your generosity to the wardrobe-challenged world out there. That's really a great combo – I particularly love the brown dress … a great silhouette for a curvy woman. Can't wait til tomorrow – thanks! And, please send Anonymous to Tish's site for your pink and gray there. I used in for a long weekend and loved every minute – starting with the packing! I have loved this series, thankyou so much for sharing your knowledge and wonderful combos. I adore Hermes scarves and I love the way you incorporate them to add spice, combine colours and give a bit of class to the outfits. Could you please include the names of the scarf designs too? I found you via Tish's site as a guest blog and am so pleased I did. Please keep it up. You do such a splendid job of putting outfits together Vivienne. Sooner or later, I should be able to get the hang of it thanks to you. Such a beautiful combination of warmth and sophistication! I will be traveling to Ireland for two weeks in the fall and would love to follow this model for packing. Began collecting outfits based on black and grey and now wish I had focused on brown as the neutral. My favorite color is orange/peach, but was afraid to combine it with black. Too Halloween! I love this colour combo. I also love the way your clothes choices aren't just suitable for the super-slim! The way you set everything out so well has made me want to cull my wardrobe every day. Thank you – you do such a brilliant job here. You have inspired me so much and I have been so impressed with your blogs and how you are educating me. I have recommended you to both my daughter and my mother, and from 21 to 80, we are all loving you.